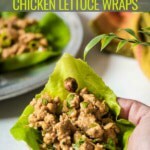 Chicken lettuce wraps – Flavored with cumin and coriander powder and garnished with coriander leaves, this flavorful Indian take on the classic chicken lettuce wrap recipe will have you clamoring for seconds. The best part is you can make this for dinner in under 20 minutes. 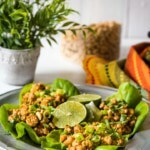 A classic chicken lettuce wrap is made by cooking ground chicken with Asian sauces with water chestnuts and green onions. It is then served in a lettuce leaf with rice sticks sprinkled on top. While lettuce wraps are often labeled as an appetizer, it is so filling that you can make a meal out of it. 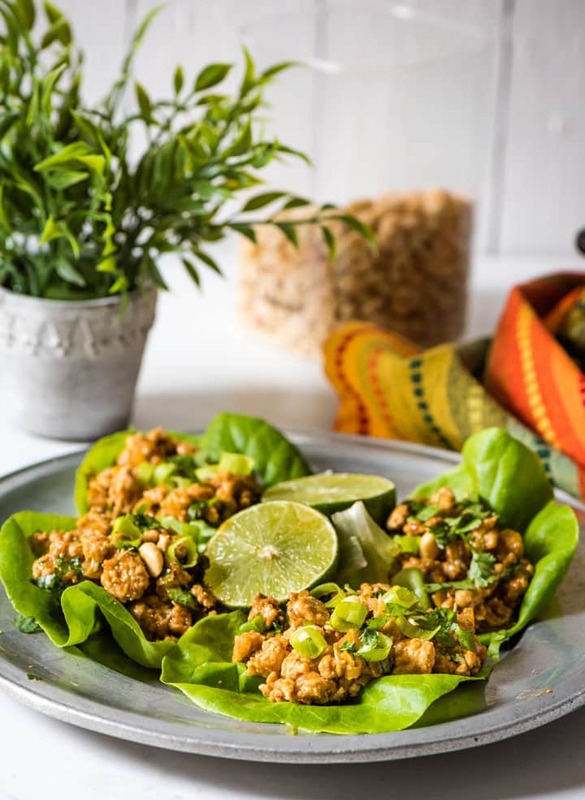 Though lettuce wraps have been part of South Asian cuisine for hundreds of years, it became popular in the US – thanks to P.F. Changs – a hugely popular and successful chain restaurant in the US. Their lettuce wraps are severely addicting and people can’t get enough of it. No wonder the internet is full of copycat recipes. 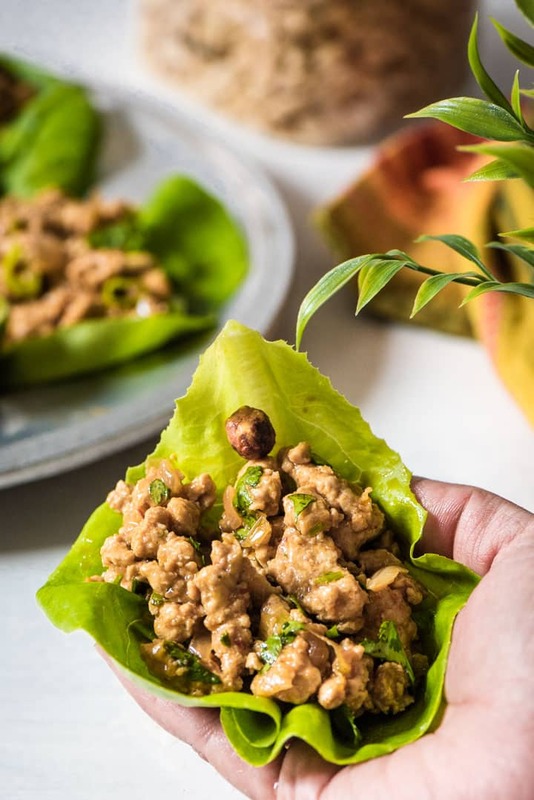 To make lettuce wraps, apart from ground chicken and lettuce, and staples such as onions, ginger, garlic, soy sauce you also need hoisin sauce, white vinegar, and water chestnuts. I am not a huge fan of buying an ingredient if I am not going to use them frequently so I substituted these ingredients and added a teaspoon of cumin, coriander powder, lime juice and sprinkled coriander leaves to give this dish my own spin. 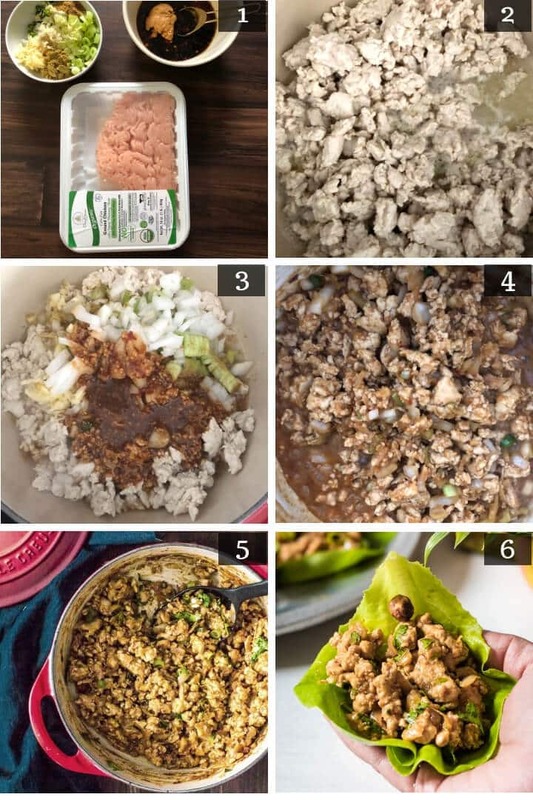 If you are looking for a traditional way to make chicken lettuce wraps, I would recommend Chungah’s recipe – I adapted mine from her blog – Damn Delicious. Added a teaspoon of coriander and cumin powder to make it Indian-inspired. Added lemon juice and cilantro as a final touch. 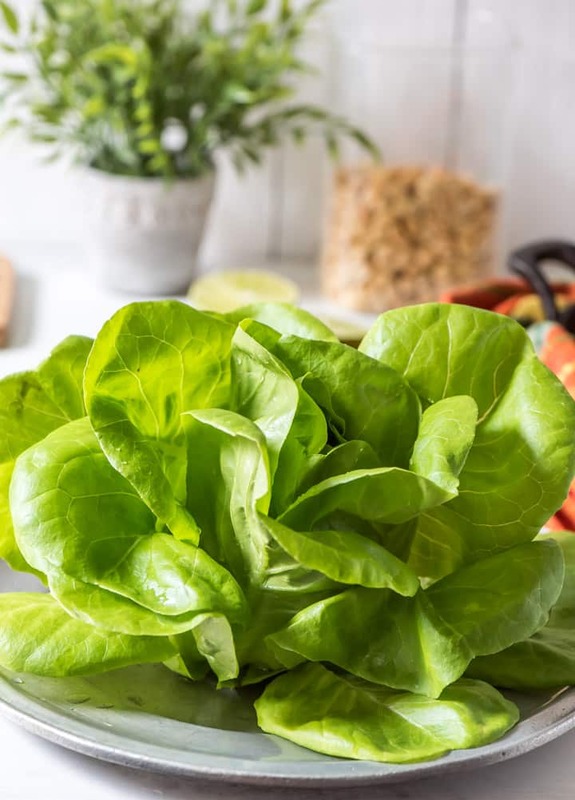 Both Boston and Bibb lettuce make great wraps but I recommend Boston butterhead because they are softer and bruise less easily compared to Bibb. Serving suggestions – Don’t have lettuce wraps? Don’t worry. This dish tastes great with rice as well and if you have leftover rotis at home, you can use them too! Cook the meat – Add oil to a wok kept over medium heat. Add the ground chicken and using a spatula break it down into small pieces as it cooks. Continue to cook until the meat is no longer pink, about 5 minutes. Prepare the sauce – Add all the sauce ingredients in a bowl and whisk them together. Add the remaining ingredients – Add the sauce, onions, ginger, garlic, green onions, green chilies along with coriander and cumin powder. Cook till the onions have softened and turned translucent, and all the liquid has been absorbed – will take about 4 to 5 minutes. The finishing touch – Squeeze lemon juice over the ground chicken and add coriander leaves. Mix well. Serve – Gently separate the leaves from the lettuce. To serve, place spoonfuls of the chicken mixture in the center of a lettuce leaf. Enjoy immediately. 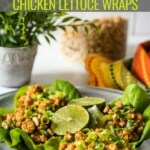 Flavored with cumin and coriander powder and garnished with coriander leaves, this flavorful Indian inspired chicken lettuce wrap recipe will have you clamoring for seconds. The good thing is you can make it in under 20 minutes. Cook the meat - Add oil to a wok kept over medium heat. Add the ground chicken and using a spatula break it down into small pieces as it cooks. Continue to cook until the meat is no longer pink, about 5 minutes. Prepare the sauce - Add all the sauce ingredients in a bowl and whisk them together. Add the remaining ingredients - Add the sauce, onions, ginger, garlic, green onions, green chilies along with coriander and cumin powder. Cook till the onions have softened and turned translucent, and all the liquid has been absorbed - will take about 4 to 5 minutes. Do a taste test and salt if needed. The finishing touch - Squeeze lemon juice over the ground chicken and add coriander leaves. Mix well. Serve - Gently separate the leaves from the lettuce. To serve, place spoonfuls of the chicken mixture in the center of a lettuce leaf. Enjoy immediately. Make sure you use organic ground chicken made from 100% breast meat such as Bell and Evan’s ground chicken from Whole Foods. This ensures that bones are not added to your ground chicken. I don't add salt because soy sauce already contains sodium.